This model is 175 cm and wears a size S/P. Their chest measures 86 cm and the waist 66 cm. 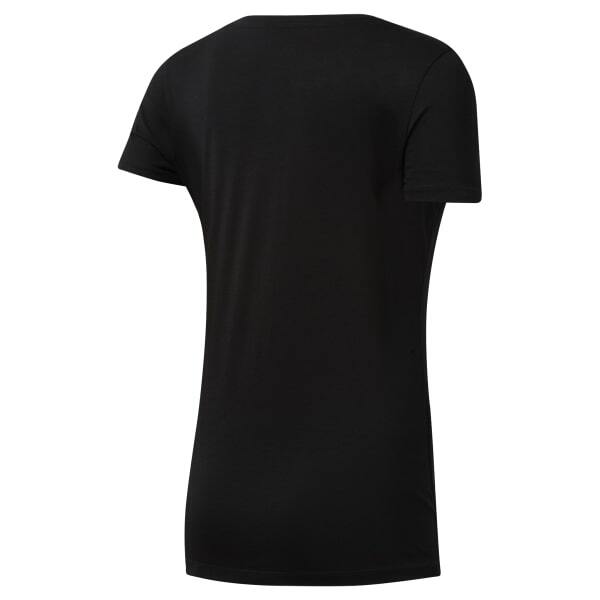 Bring your style back to basics with our scoop neck tee. This shirt feels as good as it looks thanks to soft blend fabrics, while the scoop neckline gives an edge of feminine appeal. The bold logo read on the front ensures that basic is anything but boring.